Top 10 Ways To Save $$$ @ ChutingStar! ChutingStar makes it easy for you to save plenty of money when buying all the gear, goods and toys you want and need to enjoy your days of skydiving and skating to the fullest. Here are the top 10 ways you can reduce the price of each product or save on shipping fees. #1. 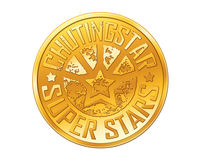 ChutingStar SuperStars Rewards Program! For every $1 spent you earn 1 point, and every 100 points is worth $1 to spend on future purchases. There are no limits to the number of points you can earn and spend. You just have to be logged into your ChutingStar.com account to earn and spend points. 100 points for sharing your purchase on Facebook by scrolling to the bottom of the "Thank You For Your Purchase" page to click on the Facebook sharing button. 50 points for each approved product review. We also run occasional double-point weekends where you earn double the points. Learn all about the SuperStars Rewards Program at this link. #2. Free Standard Shipping in the US for orders of $99 or more! If you don't care about how it gets to you and how long it takes, this is a great option to save money on your larger purchases! Just spend at least $99 and if your shipping address is in the US or is an APO, a free shipping option will show up at checkout. Our shipping crew chooses the most economical shipping method for your order, and you still receive tracking when your order ships. Just select the Free Standard Shipping option during checkout on the shipping page. International customers have been using this as well to ship orders for free to friends, family or exporters in the US who are able to get the items to them cheaper than the standard worldwide shipping rates we offer. If that is an option for you, use it! For more information on our shipping options, see our shipping page online at this link. ChutingStar pushes out a variety of limited time coupon codes through e-mails, our newsletter, social media, shipments and events. The best chance to see the most of these is to follow us on all of our social media, subscribe to our newsletter, check up on our promotion banner at the top of our web site and attend any of our events at drop zones and skate parks. The sign-up for our newsletter is in your account on ChutingStar.com, or at the bottom of every page on our site, including the home page at this link. #4 Sale Sections at ChutingStar.com! If you click on SALE in the top menu navigation bar of ChutingStar.com, you'll see three different main categories for sale items. 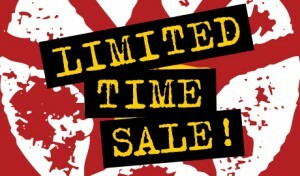 Weekly Sales are limited time sale items available at a discounted price. 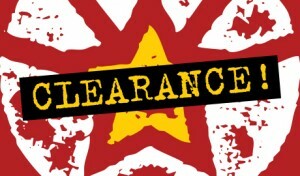 Clearance Deals are a limited number of items that are discounted because they are discontinued, or are something we've decided not to carry again after it sells out. 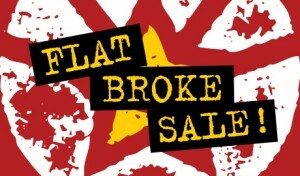 Flat Broke Sale is a unique section where we occasionally list a variety of items at next-to-nothing prices for skydivers and skaters due to being overstocked, or just to help you out, or because we just need to get rid of items. Check back frequently as we are regularly adding items to each of these categories. #5. Military Discounts on Skydiving Gear! ChutingStar offers military discounts as well as some instructor and first responder discounts on skydiving equipment such as canopies, containers and AADs. The discounts and rules vary widely, so please read the full article on the discounts in our related blog article at this link. #6. Seasonal Skydiving Equipment Sales! ChutingStar keeps an updated list of all the manufacturers with weekly, monthly or seasonal equipment sales in one blog post for you. Find out the latest deals available at this link. #7. 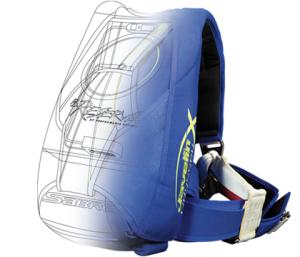 Free ChutingStar Gear Bag, $100 Off, Plus FREE US Shipping of a Complete Skydiving Rig! All complete rig purchases get a free ChutingStar Gear Bag! Our package pricing at this link also includes a $100 discount off the prices if purchasing each item separately. Plus, you can select Free Standard Shipping at checkout to any US, APO or FPO address! #8. Save 20% plus FREE US Shipping option on any Custom Complete Skateboard built through the online ChutingStar Board Builder! 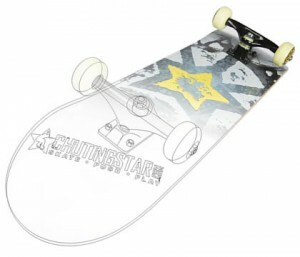 When building your custom complete skateboard online at ChutingStar.com starting at this link, you will receive an automatic 20% discount in your cart for the entire complete, plus take advantage of our FREE US Shipping option for orders of $99 or more! We'll also assemble it for free, if you select that option. Starting Thanksgiving of each year and running through New Year's Day, ChutingStar has several discounts, offers and coupons to help you find those unique gifts at the best prices for your loved ones. Keep a lookout for links to these offers in the Green Banner at the top of our web site pages. ChutingStar wants to ensure you not only get the best service, selection and expertise, but also the best price. If you do happen to find an item you purchased from us at a lower price from another shop listed online, we will give you DOUBLE the difference in ChutingStar SuperStars Rewards Points! Learn all about what to do if you end up finding a lower price elsewhere at this link. So you now have no excuse not to save some of that hard earned money on all your purchases at ChutingStar! Time to get G'd Up by shopping and saving at ChutingStar.com!